Our Director of Rugby David “Dai” Young recently admitted to the Coventry Telegraph that he was in a “dark, lonely place”. I’d like to take a moment to express exactly how I feel about Dai Young at this moment. I am truly, and deeply proud to have him at the helm of the club I love. Obviously there is more to it than that, and I will explain, but I don’t want there to be any doubt in your mind as you start to read this. I’ve spoken about this many times, and so have many other people. But during the club’s darkest days, when we were teetering on the brink of bankruptcy and we didn’t know how it was going to play out Dai stuck by the club. He’d come on board not knowing how bad the situation was, and no-one would have blamed him for walking away but he didn’t. He dug deep, he paid for supplies out of his own pocket and he helped save Wasps from going under. Clearly he didn’t do this by himself, but I honestly believe that we would not be here today if it was not for Dai. He has a developed a reputation for hiding his emotions. Whatever is going on on the field it is a rare day when he cracks a smile, or indeed shows any visible emotion. But I think it is safe to say that that is not the man he is. It is simply the persona he takes on when sitting in the public eye as the leader of the club. He has made it clear on many occasions that it is not about him. That he is not the story. And his approach effectively gives the press nothing to latch on to. There are DORs who take vastly different approaches, and that is entirely their right. But the recent rumours and negative press about the club show very clearly that he is doing the right thing. But, and this is the bit that actually matters. This doesn’t mean he doesn’t care. Just go read the article about how he felt watching Dan Robson not be brought off the bench in the England Ireland game last week. For years now Wasps have been playing a different game from everyone else. Some have laid this at the door of Danny Cipriani, but anyone with eyes to see knows that this is not the case. Whether it was us struggling at Adams Park with Stephen Jones at the helm, the stunning win against Toulon led by Ruaridh Jackson not long after moving into the Ricoh, or the glory days of 2017 when we finished 1st in the league the way the club has attempted to play has been the same. How on earth a former world class prop can take a team and develop such a free flowing, running game is beyond me, but it is clear that that is his goal and when it works well Wasps are the envy of every team in the world. When the salary cap debacle exploded a few years ago there was one team that lead the way in being honest, accountable, and outraged at the idea that other clubs may have been cheating the cap. He was the man who stood up and made it clear that Wasps deeply opposed the alleged financial transgressions, and that we had no part in them. Once he’d stuck his head above the parapet other DORs followed his lead. But it was Dai who had the integrity to make his feelings clear. Unlike many coaches in the public eye when Dai says something, you know he isn’t simply spinning a line to get the press off his back, or to create media interest for the sake of it. His metaphorical shoulders are clearly as broad as his actual shoulders.  It is not exaggeration to say that Wasps have the names of some genuine rugby legends among their DORs Melville, Gatland, McGeechan to name but a few. And I for one would not swap Dai Young for any of them. If you read this Dai, then please remember that despite the verbose tirades of a few outliers, pretty much all the fans of Wasps are proud you are our leader. You’re doing a great job, and we’ve got your back! What do you think? Are you on Dai’s team? Come and tell us in our forums. If you were starting from scratch, and wanted to create a rugby team that would dominate game after game with fast, free-flowing rugby that is both a delight to watch, and the envy of all the other teams, you certainly wouldn’t start by employing an ex prop as your head coach. Even if it was a prop who had represented his country more than fifty times, and played for the British and Irish Lions in three separate decades. But that is exactly the situation at Wasps with Dai Young. David “Dai” Young is one of the most successful front rowers the UK has created. And it is down to him that Wasps are playing as well as they are right now. But how is it that a man who was famed for his scrummaging and raw power on the field can create such a dynamic and exciting style of rugby? If there is anything that playing in the front row gives you it is strength of character. It teaches you that even when things seem bad and you are under the cosh you can turn it around. If you dig deeper, push harder, and exert your will a little more, then you can make a very real difference. No-one would have blamed Dai Young if he had walked away in Wasps’ darkest hour. He wasn’t being paid, the team was in freefall towards relegation, and he even had to buy supplies from his own pocket. But he didn’t walk away. He stuck with the team, and almost by will power alone held it all together. Every time over the last few years a player signing has been announced they have said how impressed they were with Dai and his vision for the club. It is clear now that this was not just marketing. It was completely genuine. The giant of a man, famous for not smiling, has created an idea of how he wants his team to play, found and signed players who could achieve what he wanted from them. Sourced individual coaches who had the right reputation and made it happen. Every gameplan is based on a solid defence, and in Brad Davis, Dai found a coach who could really turn things around. Before his arrival Wasps had numerous players who could score tries for fun from individual brilliance, but the team leaked tries like a sieve. Not any more. Our attack was brilliant, but unstructured. Lee Blackett has given us a structure that has proved hard to deal with. It utilises the dazzling speed of Wade, Simpson, Daly, and others, it utilises the power and strength of Johnson, Hughes, and Haskell. It creates opportunities where there were none, and it leads to try after try. Our kicking both from the tee and out of hand was average at best, Mark Tainton has taken skilled players, and given them what they needed to be among the best in the league. However good we looked when things were going well, unforced errors and handling mistakes were our undoing in game after game. Andy Titterall has not only given the team exactly what they needed to cut these out, but also helped one of the best back rowers in the Premiership become one of the best Hookers in the Premiership. All of this would be irrelevant if the players weren’t able to actually do it. If they didn’t have the speed, or the power the gameplan needed. If they were gasping on the halfway line instead of running a beautiful support line. And in Dan Baugh, Dai brought in a Strength and Conditioning coach up to the task of making the fittest players in the league. 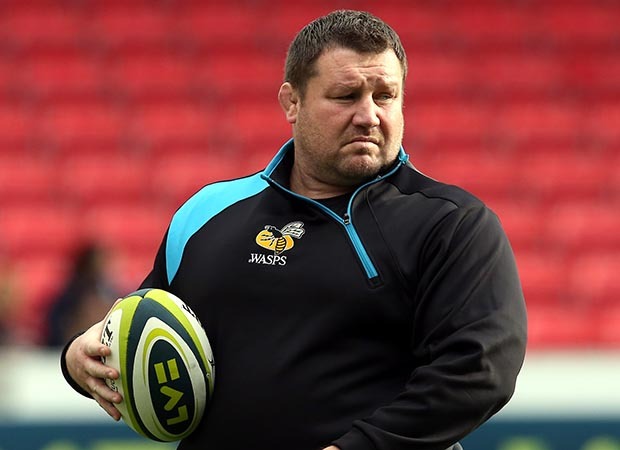 Dai Young has not only assembled the form squad of the Premiership, but he has brought together a brilliant team of coaches to make his vision a reality. It is quite an astonishing turnaround when you consider how close the club were to relegation, and financial bankruptcy that a handful of seasons later we can top the league in almost every aspect of game play. 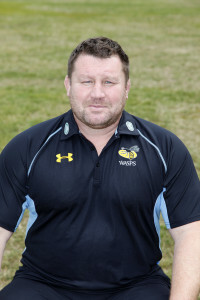 If anyone wants to know who the best signing Wasps have made in the last few years, it is undoubtedly Dai Young.